There have been many landmarks achievements in space exploration from man going to the moon, plans for human missions to mars and discovering new galaxies but on the 14th of July a new landmark has been made when mankind reached Pluto for the first time, this day will be recorded in history books as one of the greats. If everything went as planned then New Horizons, a NASA spacecraft, should have flown by Pluto at 11:49AM GMT, the spacecraft will be the first ever in history to visit Pluto and we have waited a long time for this, about 9 years to be exact. To watch the fly by NASA will be doing a live stream of the event the countdown coverage will start at 11:30AM (GMT), followed by the fly by at approximately 11:49AM and then a briefing of an hour on the mission from 12:00PM to 1:00PM (GMT). It is however important to know that the coverage will not include any live feed of the New Horizons as it moves by Pluto because there isn’t a telescope strong enough to see the spacecraft in enough detail, considering the fact that it is so far away. To be exact the spacecraft is about 4.5 light hours away from the surface of the Earth so the coverage of the fly by will take minimum 4 and a half hours to reach our eyes. 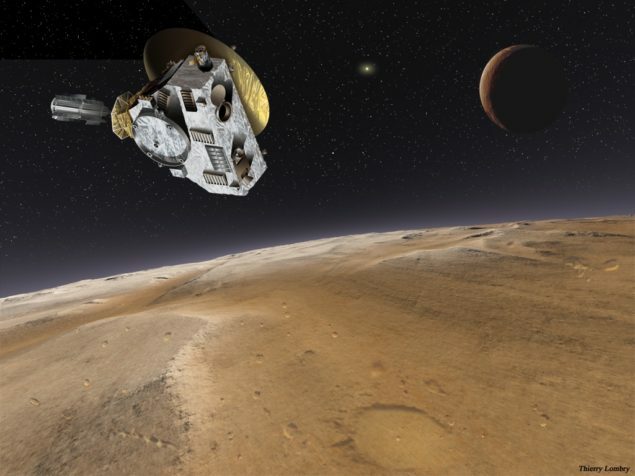 The spacecraft will at its closest be about 12,500 km miles of Pluto and at a very fast speed of about 500,000 km/h, at such speeds there is very less time to collect scientific data and so the New Horizons will have a few hours to collect as much data as it can on Pluto. This sums up the fact that at the time when it is closest to the surface of Pluto, New Horizons will not be able to send a signal to Earth about the successful mission. So the most important part of this wall that whether the spacecraft flew by Pluto without incident will be coming in at about 12:53AM (GMT) on Wednesday, according to BBC.